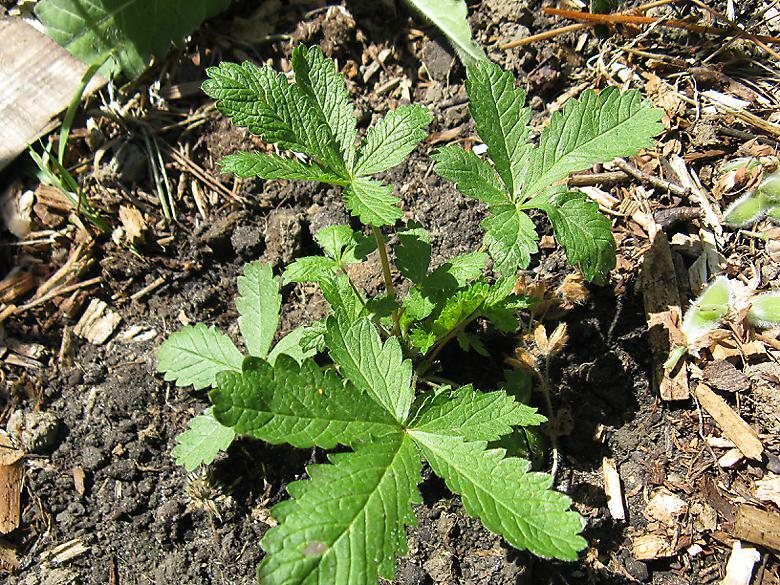 From the five packets of seeds only the Potentilla grew. There is one seedling that is probably a weed but I don't recognise it, so I am keeping it in case it is something interesting. I've thrown the rest of the compost in the seed tray into an area in the back corner as you never know seeds may sprout later on, or next year. The Potentillas are now planted or given away. Here is one of them planted up. I don't know if it will flower this year, I'm not really expecting it too.